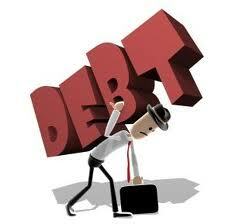 Millions of people throughout the nation are experiencing debt problems. With the struggling economy, rising mortgage interest rates, medical expenses and job loss, many people are having trouble maintaining their minimum monthly credit card and loan payments. According to CreditCards.com, the average American household in 2011 carried a balance of over $15,799 in credit card debt. In 1990 this number was only about $3,000 per household! This ongoing increase in consumer debt is leading financial challenges for individuals and families around the country. If you are having financial difficulty and have been unable to keep up with your current debt payments, it is time to search for solutions. BUT – before you make any decisions it is important to step back and take a personal financial inventory. Consumer Tip: The free credit reports with the catchy song and jingle you see on TV are not free. You must sign up for their monthly service. Sure, you can cancel after the trial period but they make it difficult and will you remember to do it? There is a credit report you can get that is really free with no strings attached. AnnualCreditReport.com is the official site set up by the government and the three major credit bureaus to allow consumers to obtain a copy of their credit reports once a year at no charge. While the reports provided from these agencies will not give you all of the information you need to complete a financial assessment, it will show you your primary creditors. Understand that some of your creditors may not report to the credit bureaus and will not be listed. Review who you owe money to, the total amount of money owed, and any delinquencies. If you have not reviewed your credit report recently, this is an important first step to take. In addition to reviewing your credit report, take the time to review your total financial situation. Take an inventory of your current assets, income, liabilities and expenses; this will be useful later when you are deciding which step to take next.